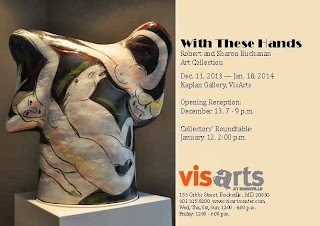 Robert and Sharon Buchanan share their exquisite art collection in the Kaplan Gallery this month at VisArts. Don't miss the Collector's Roundtable on January 12, 2014. Three new exhibitions open at VisArts. The show featured in the Kaplan Gallery is "With These Hands," an exhibition of the Robert and Sharon Buchanan art collection. The artwork on display from December 11th through January 18th, include ceramics, prints, sculpture and paintings by artists with local and international reputations. Works range from the emerging to the mature. The Buchanan collection grew out of Bob and Sharon's profound love and appreciation for art and artists mixed with their own life experiences during a three-year tour in Japan. Sharon, a founder of the art firm, Artists Circle, supports and encourages both regional and national artists and Bob is a stalwart champion of the arts and considers them essential to civic life. Admission is free for both nights, and wine will be provided after the productions, as we discuss the works with the director, actors, playwright and audience. The plays last about an hour total each night. Danny and the Therapist shows a man in therapy who loses control of his session. First, the therapist changes place with him and forces Danny to listen; then Danny's wife enters and takes over the scene. She divulges a story of infidelity. Danny pulls a gun, trying to regain control of his time, but the gun does not work. Both of these one-acts are being produced by Sanctuary: Playwrights Theater (http://www.sanctuarytheatre.org) is a NYC theater company dedicated to interpreting the work of new playwrights. Katrin Hilbe directs. 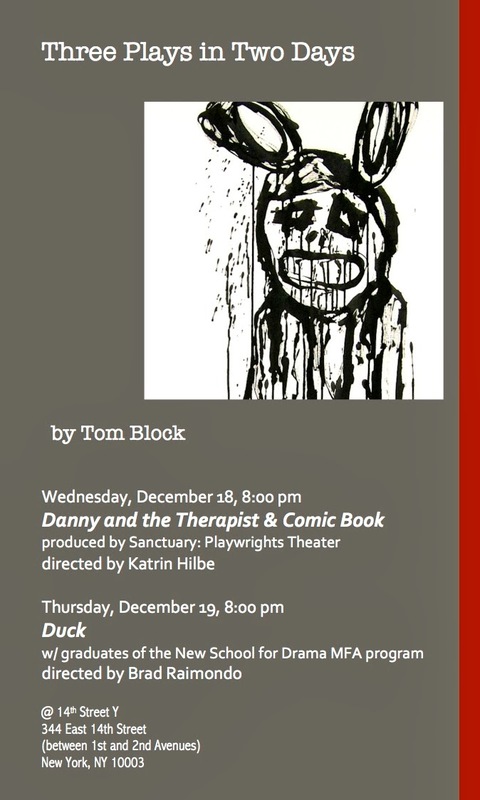 Duck, produced by director Brad Raimondo and read by graduates of the New School for Drama's MFA Acting program, explores the dilemmas encountered by a decorated CIA agent, whose success only brings him face to face with his own perceived moral failings and the Statist myth that has been used to justify his murder in the name of security. The Abstract Expressionists valued spontaneity and improvisation. Works entered in this exhibit will demonstrate dynamic, energetic gesture and an emphasis on process. Although most works created during the post-war period of the 1950’s and 60’s, were abstract and free of references to real images, works for this exhibit can also be abstracted views of any scenes or figures. Some Abstract Expressionists included highly personal imagery combined in surprising ways such as in Robert Rauschenbergs “Combines”. Other Abstract Expressionists include Jackson Pollock, Clifford Still and Willem de Kooning. Art League instructors that artists can refer to for inspiration include Deanna Schwartzberg, Delna Dastur and Brenda Belfield. Works not specifically created in the style of abstract expressionism will be considered for this exhibit but cannot be considered for awards. Most of us have been influenced by this seminal art movement and works entered should reflect how art today has carried on the ideals of Abstract Expressionism. Note: To apply, artists must be members of The Art League. Memberships are open to all, refer to website for more details. *Artists can elect a one month trial membership for $30 and submit work for jury. Notification – Artists accepted into this exhibit wil be notified via e-mail by Tuesday, January 7, 8:30pm. If not accepted, works must be picked up no later than Tuesday, January 21. After January 21 works left in the gallery will incur a $1.00 per day late fee. Work must be delivered to The Art League gallery for jurying. 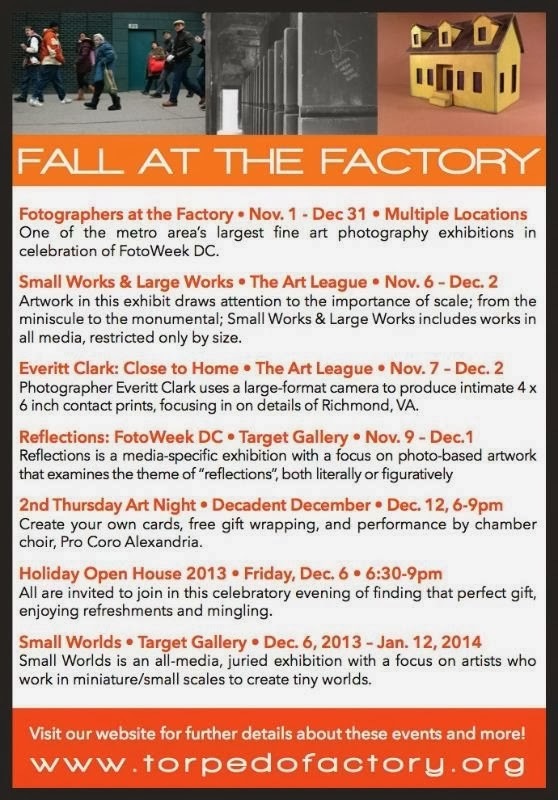 The Art League is located at 105 N Union St, Alexandria, VA 22314, Studio 21. Artists will pay a 40% commission on all sold works. Work not sold must be picked up on Monday, February 2 between 10:00am and 6:00pm. Anne is recipient of an Artist Fellowship 2014 from the DC Commission on the Arts and Humanities. Her work was a Showcase Winner with ARTslant New York in 2011. She was honored as Liquitex Artist of the Month in November 2004 and awarded a CAP/MEX EX Residency Grant in 2003 from the Mid Atlantic Arts Foundation. In 2002, Anne was nominated for Excellence in Artistic Discipline in the distinguished DC Mayor's Arts Awards. 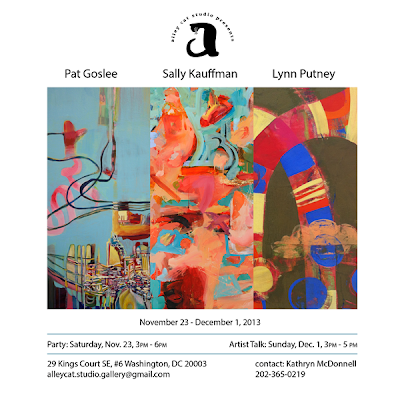 Her public art works can be seen in Washington, DC and in Crystal City, VA.
Anne's paintings are represented in numerous corporate and private collections in the USA. She has exhibited extensively in the United States. Current exhibits include Porter Contemporary in New York, Green Chalk Contemporary in California, the Boston International Fine Art Show, the Affordable Art Fair in New York City, and “Great Streets, the Urban Life of DC” a group show at Zenith Gallery in DC. Marchand teaches private art classes and maintains an art studio in Washington, DC. The Art League is located in the landmark Torpedo Factory Art Center, 105 North Union Street, on the beautiful Potomac River in historic Old Town Alexandria, Virginia. Facilities are accessible by car, bus, and Metro, allowing the League to serve the cultural communities of the metro Washington, DC area. New York, NY. Porter Contemporary presents works focused on skill, technique and the ability to push the boundaries of a chosen medium through the works of Jason Bryant, Jeff Huntington, Lori Larusso and Carolina Rodriguez Baptista at this year’s Context Art Fair during Art Basel from December 3 – 8, 2013. CONTEXT, will take place at a 45,000-square-foot pavilion in the renowned Wynwood Arts District. CONTEXT's successful 2012 debut established it as the ultimate platform for international galleries to present cutting-edge works by emerging and mid-career talents. The fair provides insight into the latest trends in contemporary art by contextualizing them with some of the finest examples of groundbreaking 20th century movements at its neighboring sister fair Art Miami. Artworks from all represented Porter Contemporary artists will be available at the fair (see full list below); however the booth will focus on highlighting four artists whose work best represent Porter Contemporary’s mission to focus on skill & technique combined with pushing the boundaries of a particular medium. Photo-realist painter, Jason Bryant will debut new works for his upcoming solo exhibition, Letters From Home. Jeff Huntington’s work will focus on a new series he began in 2012 where he started “painting” by using magazine clippings as his medium. Abstracted mundane interior and exterior scenes make up the basis of Lori Larusso’s shaped acrylic panels, each one balancing painterly and sculptural effects. Dissections of reality and unreality sometimes are combined in multiple panels interacting with a whole idea. Carolina Rodriguez Baptista, led by the forces of her medium, bronze, follows the motion and hardiness by her own sense of self, femininity and strength. Baptista works through the harshness of the bronze to unearth feminine curves, tenacity and moments of self-satisfaction creating figures of action, gentleness and contemplation. Artworks will also be available by Jennie Barrese, Jessica Charlotte, JaH-HaHa, Naoto Hattori, Jan Huling, Jee Hwang, Jihay Kang, Sarah Kaufman, Katarzyna Majak, Anne Marchand, Judith Mullen, Jennifer Murray, Johnny Romeo, Anne Smerdon, Catherine Tafur, and Roy Wiemann. Are you in Miami this week? Be sure to pick up a copy of the December Issue of Art Voices Magazine which will feature a cover and interview with Washington, DC based artist Anne Marchand. Look for Art Voices Magazine street teams who will be handing out issues to fair goers inside and outside the fairs on December 3rd and 4th. Entrance: east side of building. The Seventeenth Annual Boston International Fine Art Show is underway. 40 dealers have some 3,000 original works of fine art on offer. There is so much to see and it starts today. Visit Emerge Fine Art in Booth 4. November 21 - 24, 2013. Hours: Fri 1-8, Sat 11-8, Sun 11-5. Montgomery College’s Department of Visual Arts and Design presents In Balance, the 41st Annual Faculty Exhibition in the King Street Gallery. The exhibit opens December 5th with a reception from 6–8 p.m. This exhibition features the artwork of faculty and staff in the Department of Visual Arts and Design at the Takoma Park/Silver Spring Campus of Montgomery College. Representing varied interests and backgrounds, the 41st Annual Faculty Exhibition explores a range of media, including painting, printmaking, photography, installation, and performance. Exhibiting artists investigate diverse themes, from personal memories to global environmental issues. 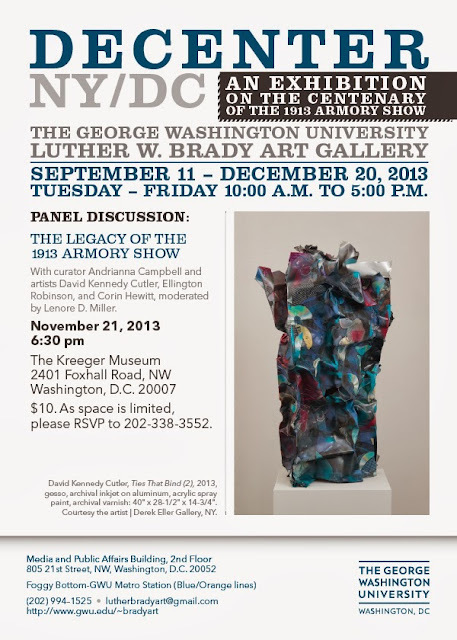 The 41st Annual Faculty Exhibition runs December 5, 2013–January 30, 2014 at the King Street Gallery. A reception will take place Thursday, December 5 from 6–8 p.m. The event will be held at the Morris and Gwendolyn Cafritz Foundation Arts Center, where the gallery is located. For more information, visit http://cms.montgomerycollege.edu/arts-tpss/exhibitions/. Free and open to the public. There’s less than a month left to apply for a VMFA Visual Arts Fellowship! No application fee! Applications due Friday, November 8, 2013. For a PDF flyer, the application form, and all instructions on how to apply, visit www.VMFA.museum/Fellowships. Stay in touch with VMFA! Open Studios Participating Artists: Sondra Arkin, Scott G. Brooks, Jane Cave, Michael Crossett, Gary Fisher, Charlie Gaynor, Charlie Jones, Sally Kauffman, Miguel Perez Lem, Lucinda Friendly Murphy, Betto Ortiz, Mark Parascandola, Dave Peterson, Brian Petro, George H. Smith-Shomari, John Talkington, Michael Torra, Robert Wiener, Colin Winterbottom. Others by appointment. The Affordable Art Fair was a resounding success last week! Now come home safe guys! Alida Anderson Art Projects Booth at Affordable Art Fair New York Fall 2013. Next up for Anne Marchand Studios? 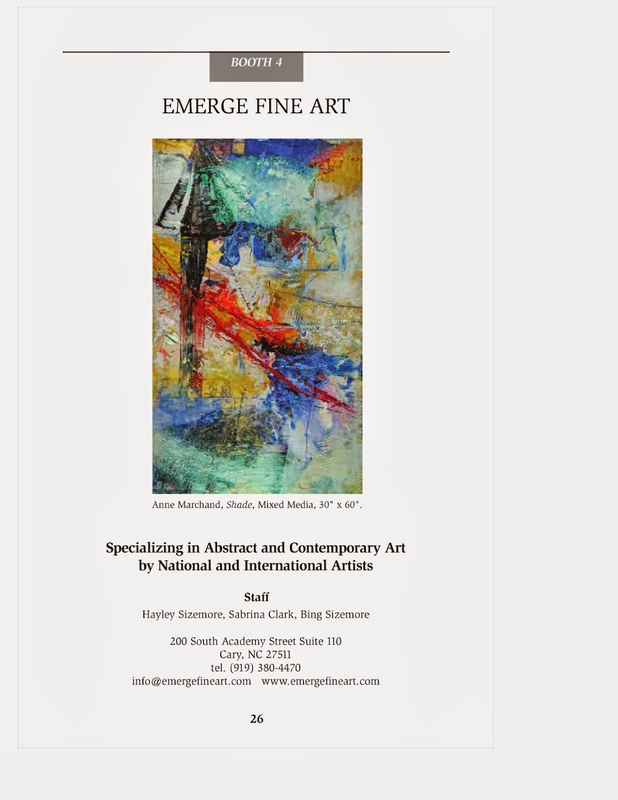 Emerge Fine Art at the Boston International Fine Art Show! friday - saturday 11-6 p.m.
We will host a mini exhibition of works by Anne Marchand in our project room in conjunction with the Affordable Art Fair through October 12. Visit our gallery in the Chelsea neighborhood this week! Opening Reception, Saturday October 12, 6:30-8:30 p.m.
Second Reception Saturday October 19, 6:30-8:30 p.m. In his recent paintings “Territories,” Joan explores psychological and political perspectives through the universality of maps. The series, based on maps from his native Chile, pay homage to the indigenous people who are so rarely referenced in anthropology and cartography. Finding himself suspended between the personal and universal as he rediscovered the maps of his childhood, Joan utilizes symbols, colors, drawings, grids, dots, and lines to search for freedom in a structured world. His works reference a time in our past that is impossible to recreate, but important to remember. Joan Belmar was born in Santiago, Chile and emigrated to Spain where he began to paint professionally. Joan moved to Washington DC in 1999. In 2003 he was granted permanent residency in the U.S. based on extraordinary artistic merit. Joan has shown internationally and in Washington, D.C. In 2009 the DC Commission on the Arts and Humanities awarded him an Artist Fellowship Grant and in 2010 and 2013 he was awarded an Individual Artist grant in Painting from the Maryland Arts Council. This is his second show with Adah Rose Gallery. Lori Anne Boocks is the keeper of stories. The passage of time creates layers of experience through the remembering, misremembering, and forgetting of stories. Each of these moments are important influences on her painting and thinking. In her newest work, text continues to serve as both subject matter and the basis for mark-making. Texture for each piece comes from her hands, brushwork, and a subtractive process where layers of poured washes are added to the surface, then partially removed with cloth. Her exploration of stories hinges on the juxtaposition of multiple directions of depth, including time, space, mathematics, and meaning. Lori Anne Boocks earned a BFA from Old Dominion University in 1992. She has had solo exhibitions at Sitar Arts Center, Studio Gallery and the Delaplaine Visual Arts Center. She was a Semi Finalist in the Bethesda Painting Awards in 2012, awarded a Living Gallery Residency at the Annmarie Arts Center in 2011 and won a first place award at the Festival of the Arts in Portsmouth, VA. This is her second show with Adah Rose Gallery. Lori Larusso's We'll Be Happier Tomorrow closes on October 12! Don't miss! See what IN New York Magazine and The Worleygig have to say about the show! will also be on display. 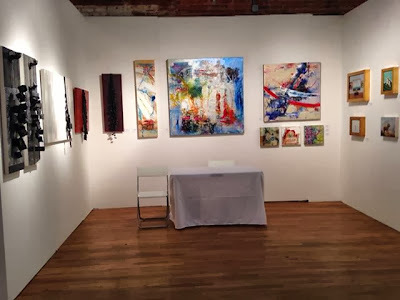 AAF is a fun four-day event hosting over 50 galleries and a huge array of contemporary art from October 3-6, 2013, right around the corner from us at The Tunnel in Chelsea. Meet executives, entrepreneurs and leaders across industries to network in a social and cultural setting and hear from Chermelle D. Edwards, coffeetographer™. 2012 he began "painting" by using magazine clippings as his medium. By stitching together disparate images, Huntington transforms his chosen subject, predominantly portraiture, into a textured landscape of photographic imagery. Jennie Barrese turns from photography and through painting salutes the human ability to overcome obstacles and change. Join us in Miami this December for Context Art Miami! CONTEXT - the sister fair to Art Miami, now in its 24th year as the longest-running art fair in Miami - is committed to the development and reinforcement of emerging and mid-career artists. More information to come!